In high torque, high-load situations, the torque converter bears the brunt of the engine's force. Stock torque converter stator pitch designs slip excessively, causing the oil to foam and ever heat, and the front cover clutch surface to warp. 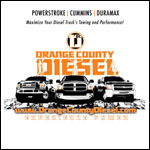 But the BD Power 1070217X Torque Converter 2003-2007 Dodge 5.9L Cummins w/48RE Transmission was specifically designed to handle the kind of punishment you dish out. 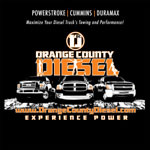 OC Diesel offers Professional BD Power BD-1070217X Installation.